All Blacks bugging: 9V battery key piece of evidence in Adrian Gard hearing. A 9V battery has emerged as the key piece of evidence being contested at the hearing of All Blacks security consultant Adrian Gard. He told All Blacks management he found the listening device hidden inside a chair in the Intercontinental Hotel on August 15 last year. 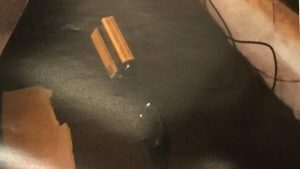 Gard cut the chair open on the advice of a bug sweeping specialist, Charles Carter, who picked up electronic “alerts” on the chair – which often gave false readings – but other tests indicated the device was not transmitting. This means the 9V battery powering the device was either drained, or disconnected. Gard was later charged with making a false statement leading to an investigation. At the hearing at the Downing Local Court, a private investigator working on behalf of the hotel was adamant Gard said the battery was connected when Gard found the device – and he disconnected it. Julian Claxton, a counter-surveillance expert, was cross-examined by Gard’s lawyer Tony Kimmins who suggested Gard pulled the device out of the chair and the battery fell off. “I dispute that,” said Claxton, who said he specifically asked Gard. Claxton also tested whether the battery still had power by putting it his mouth. The police also tested the battery with a more scientific method. Senior Sergeant Milad Elkazzi, an expert in technical aspects of investigations, tested the battery and found it had 9.2V of power left. 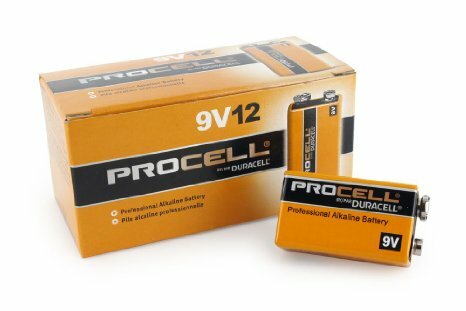 He then tested two brand new batteries, which returned readings of 9.38V and 9.54V. “Every battery is slightly different,” said Elkazzi. He then conducted tests to see how quickly the batteries drained of power, compared to the power reading of the battery discovered with the device. In his estimation, the device battery had been used for between 1-2 hours before it was disconnected. The police case is that the bug was never inside the chair; that Gard cut the chair open in the privacy of his hotel room and “found” the listening device, before alerting Darren Shand, the All Blacks manager. The defence is building towards a different theory; the device had been in the chair for some time, perhaps targeting different powerful guests at the hotel, but became disconnected from the battery. This, in the defence theory, explains why the device frequency was not picked up in the original sweep by Charles Carter – it was not transmitting – and why the battery had only been used for between 1-2 hours. The case will now be adjourned for three more days next week, meaning a verdict on Gard’s guilt or innocence could be handed down by Magistrate Jennifer Atkinson on the eve of the Bledisloe Test in Sydney. Earlier in the day, the court heard evidence from witnesses who said Darren Shand asked for the police to not be involved when the bug was first found. Paul Walters, the general manager of the Intercontinental Hotel in Double Bay at the time, said he asked if Shand wanted to call police when the device was found on the Monday. “Mr Shand requested I do not contact police,” said Walters, on the account they did not want any media attention. The hotel manager then arranged for two private investigators to start an inquiry into who planted the bug. The next day, one of those investigators, John Seward, said he told Shand the planting of a bug was a potential criminal offence and should be reported to police. But Shand wanted the matter handled “in-house”, said Seward, because of the fear of media attention. This conflicts with the evidence of Shand, in which he said the private investigators did not tell him it was a criminal offence until Friday – three days later. At a second meeting on Friday August 19, the day before the test, Seward repeated his belief a criminal offence may have occurred and should be reported to the police. Shand replied the All Blacks needed to wait for a “manager” to arrive from Rio before they did anything, Seward said. NZRU chief executive Steve Tew was in Rio for the Olympics. “I stressed this should have been reported to police…it was not decided to report to the police, I know that for a fact,” said Seward. However, Shand did not ask Paul Walters to report the matter to police until the Saturday morning when news of the bug’s discovery was going to be reported by the Herald. Shand, in giving evidence on the first day of the hearing, denied asking for the police to not be involved when the listening device was first discovered. Shand went on to say he believed it was the hotel’s responsibility to investigate and was unaware that planting a listening device was a criminal offence until the Friday meeting with the private investigators.